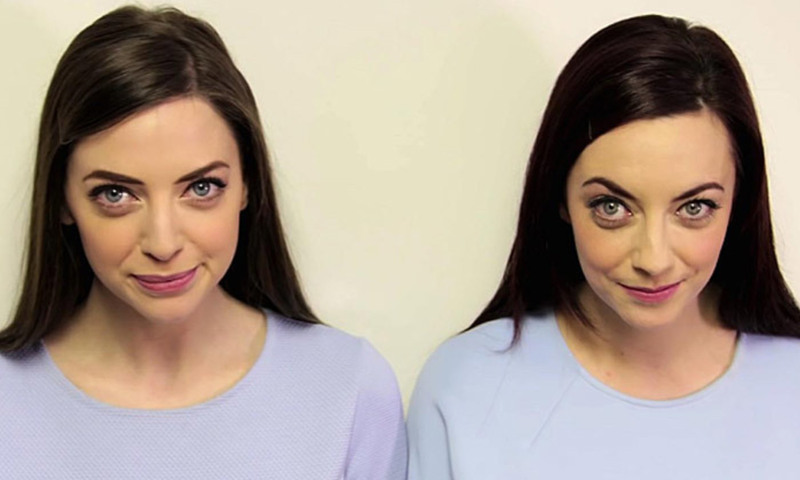 In 2015, Niamh Geaney, a 28-year-old Irish woman, was approached by a TV production company to participate in an unusual competition: a race to find her twin stranger, a stranger who looks exactly like her. Within two weeks of scouring social networks and every other available outlet, she’d found a dead ringer, Karen Branigan, from Dublin. Then she found another match, Luisa Guizzardi, from Genoa. And then another, Irene Adams, from Sligo. Identical quadruplets by appearance, in reality they were unrelated. Geaney is not the only person to find a spitting image in an unlikely place. The abundance of doppelgängers, celebrity lookalikes and doubles found in artworks point to the same unsettling possibility: somewhere in the world, there’s a person who looks almost exactly like you. Whether you take this as an insult to your uniqueness or a testament to our collective humanity is up to you. Either way, the story of individuality does not end there, for a reason that these notions of facial resemblance often overlook: people vary in their visual-recognition capabilities, and these variations determine in part how similar others appear. At one extreme are people with prosopagnosia, or ‘face blindness’. Present a prosopagnosic person with a photograph, and you’ll find that she can answer a diverse range of questions about a person in the picture, from hair colour to expressed emotion. But ask her to identify that person, and she will struggle – whether the photo depicts a celebrity, a close friend, or even herself. At the other extreme are ‘super recognisers’, whose ability to detect faces is so extraordinary that it comes with its own flavour of social problem: seeing people you recognise everywhere, even if you passed them only briefly on the subway several years ago. Most of us fall somewhere in between, able to recognise hundreds to thousands of individuals, but not every single one. People also vary in their ability to recognise particular kinds of faces or particular people. For example, psychologists have studied an effect of racial segregation, which makes people who look different from those who surround us harder to distinguish. Or consider the case of identical twins, who are typically indistinguishable to everyone but a small handful of friends and family who have acquired the ability to tell the twins apart through experience. To outsiders – even those with twins of their own – they look as similar as two people ever could. But to their parents, who have plenty of exposure and all the motivation in the world to reliably distinguish between the twins, they are unique. When reasoning about the similarity between faces, face-perception researchers appeal to the concept of a ‘face space’. As a comparison, think about how the location of an object can be described as a point in three-dimensional physical space. You can do the same with a mental object, such as a face, by describing its position in an abstract multidimensional space of perceived features and properties. Each point in the space maps to a face. Nearby points correspond to faces that look similar, while distant points represent faces that appear different. This point-in-a-face-space description of human appearance is not the whole story. The poet Walt Whitman said we contain multitudes. We also convey multitudes. Between ageing, blushing, dyeing, dieting, balding, sunbathing, smiling, sweating, scarring, shaving, piercing, exfoliating, botoxing and photoshopping, a person’s appearance changes considerably over time. Visual identity, then, is defined not by one single appearance, but by many, forming a hazy trajectory through face space. Those wishing to recognise us must do so despite these changes. And, usually, they do. In this context, visual learning can be thought of as the active warping of face space in response to the demands of a person’s visual environment. When that environment requires a person to make fine distinctions within a narrow region of face space, the person’s visual system adapts, resulting in a warping of face space. The environment faced by a parent raising twins, for example, causes the caregiver’s visual system to pull the representation of their twins’ faces apart, untangling the two as if from a fight. To say that two people ‘look alike’ is to make a statement not just about others, but also about oneself. Because face space is psychological, each person has her own, reflecting her face-recognition abilities as well as learned visual expertise. When environments and predilections vary, face spaces diverge. So perceived similarity in appearance always reflects both the observer and the observed. This expanded notion of resemblance complicates the concept of a doppelgänger, dead ringer or twin stranger. To the prosopagnosic or novice, lookalikes abound. To the super-recogniser or expert, no two people look the same. And so, does someone out there look exactly like you? It depends on what exactly you mean. Whatever our revised definition of similitude, it must respect the interdependency between the observer and the observed. One possible revision – let’s call it ‘identical0’ – is that two people can be said to be identical in appearance if and only if no person could ever learn to tell them apart, even with a lifetime of exposure. Because this definition is so stringent that it rules out identical twins, who likely look as similar as two people ever could, it’s unlikely that you have any identical0 twin strangers. Expanding that definition somewhat, we might say that two people are ‘identical1’ in appearance if no untrained observer could reliably tell them apart. The extraordinary capabilities of the best face-recognisers suggest that you’re unlikely to find someone similar enough in appearance to fool them. Relaxing it even further, we might say that two people are ‘identical2’ in appearance if the average untrained person can’t reliably tell them apart. Here, the idea of a doppelgänger is at least plausible. Estimates of the number of humans who ever lived on Earth put the number at 100 billion or so. This means that for every stranger you’ve briefly mistaken for a friend, or every celebrity for another, there are tens, hundreds, perhaps even thousands more people who, if you met them, you’d think looked even more similar. Somewhere out there, perhaps in another place and time, there’s a person whose appearance is so similar to yours that the average untrained person couldn’t tell you apart – your identical twin stranger. is a cognitive scientist studying vision, learning, memory and technology at the University of California, Berkeley.